Economy-First Class Mail: (7 to 10 business days to most domestic locations per USPS® site) First Class Cardboard box with TRACKING (NO INSURANCE). 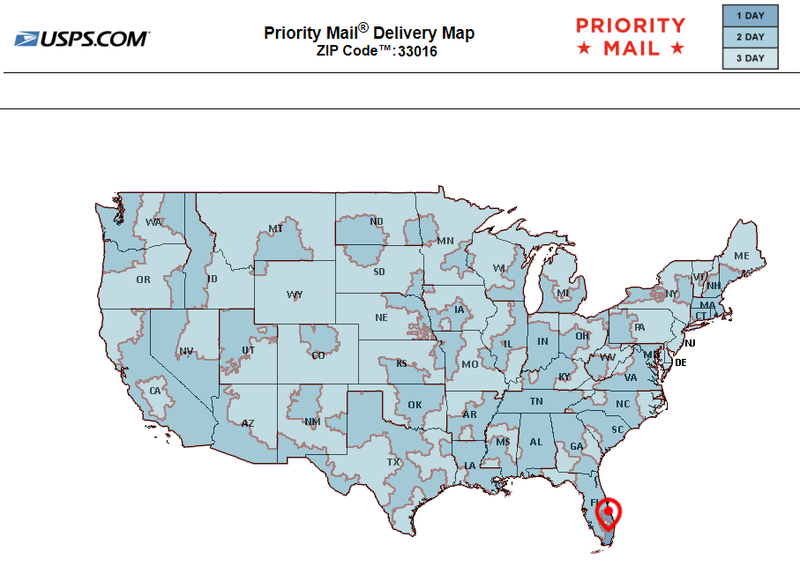 ​Priority Mail Small Box: (1 to 3 business days to most domestic locations per USPS® site) Priority box with TRACKING + INSURANCE. Express Mail: (1 to 2 business days Guaranteed) Express mail padded envelope with TRACKING + INSURANCE + SIGNATURE. Express International Mail: (3 to 5 business days to major cities) Express mail padded envelope with TRACKING + INSURANCE. All mailing options will fit in most standardized mail boxes. Measures 6" x 3" x 2"
Measures 5-3/8" x 8-5/8" x 1-5/8"
Measures 12-1/2" x 9-1/2" x 1/2"